In October of 2005, Congress enacted sweeping changes to the bankruptcy code in response to heavy lobbying from the credit card banks. One of the things that was added was a standardized cash flow analysis to determine whether people could afford to pay a portion, if not all, of their debt through a chapter 13 repayment plan. In other words, means testing is a way to determine whether you have the “means” to pay all or a portion of your debts. The test itself is in three steps. First, a calculation is done of your gross annual household income. This is determined by adding up all of the income in the household from every source (except Social Security benefits) that was received during the six months leading up to the filing of the bankruptcy. This amount is then doubled to get an annual figure, and then compared to the median state income for that household size (e.g. a family of four). These median income figures are based on census data, which is then adjusted periodically for inflation (or deflation, depending on the economy). If that annual income is below the median, then a debtor goes no further in the analysis. If the income is above the median, then the debtor goes on to the second part of the test and begins deducting monthly expenses, some of which are standardized on a national or local level based on IRS figures, and some of which are the actual expenses paid by the debtor. These include taxes withheld from the gross income, so that net household income is taken into account at this point. After all applicable standardized allowances and actual allowable expenses are deducted, the test then looks at whether any money is left over (i.e. the disposable income figure). If there is a deficit (i.e. the amount left is a negative number), or if the number is below the threshold amount that has been determined to be the minimum reasonable monthly payment towards the debtor’s debt, then he or she “passed” the test. If the disposable income is over the threshold amount, there is a presumption of bad faith should the debtor try to file a chapter 7, rather than a chapter 13 repayment plan. Although this presumption can be rebutted, it can be difficult, and can act as a barrier for debtors to get a fresh start in a chapter 7. The problem with the means test is that can reflect a household income that is artificially high. If the debtor received a big bonus during those six months or worked a lot of overtime, this could skew the figures. Teachers that are paid ten months out of the year can show a higher income that an actual twelve month average, if the six month period does not include either of the two months in that year when they do not get paid. Also, people paid every two weeks will get three paychecks during two months in every year. If the six month analysis period includes both those months, the annual gross under means testing will reflect four extra paychecks. Means testing is a complicated process. Do not assume, based on your own calculations from the information presented here that you do not qualify for a chapter 7. Most South Jerseyans can file a chapter 7 with no problem and no means test complications. Can I Still File Chapter 7 Bankruptcy in New Jersey? ?Can a NJ Chapter 13 bankruptcy help me lower my car payment? 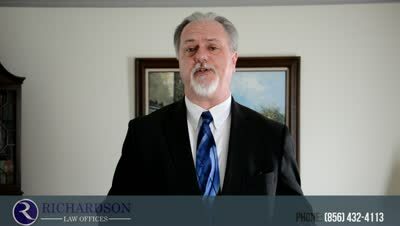 ?What Do I Need to Do After I File my NJ Bankruptcy? ?Can I incur new debt in NJ while I am in a chapter 13?